Austin is made from a fuzzy pink material with a white muzzle and belly. 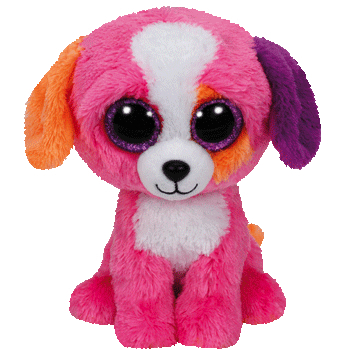 He has large sparkly purple and black button eyes and a black nose with black stitching for his mouth. His left ear is purple and his right ear is orange and he has an orange patch over his left eye. and at the park is where I play. Austin was released in September 2015. His birthday is on 30th May 2015. Austin is a Claire’s exclusive Beanie Boo.